Remove the 9 exhaust manifold nuts (4). 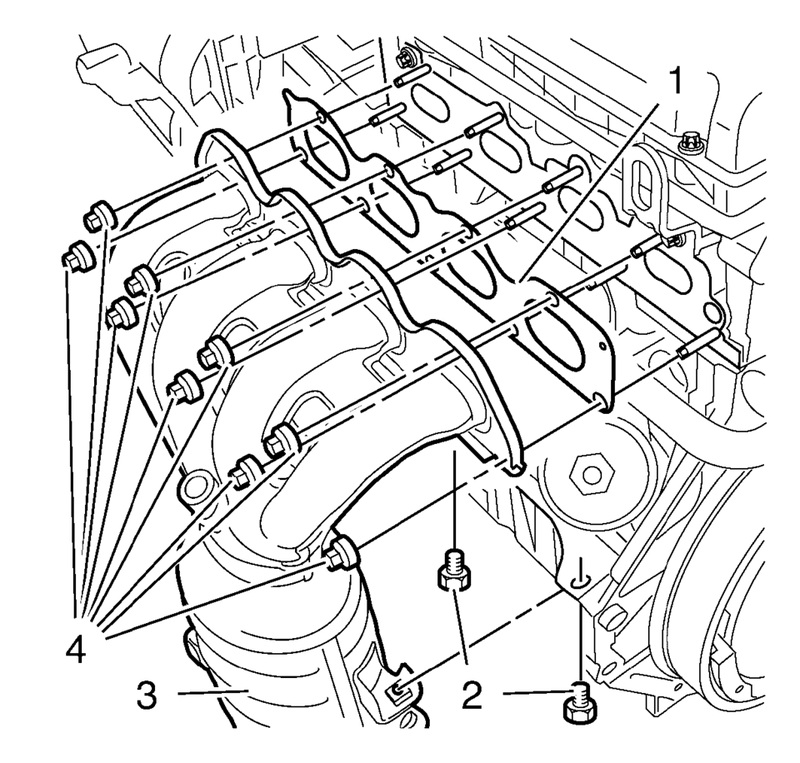 Remove the exhaust manifold (3) and gasket (1). Clean all of the gasket surfaces.